Because honestly, The Engineer: Who wants to hear about heating houses in August? Or a really hot, summery Vancouver September, for that matter. 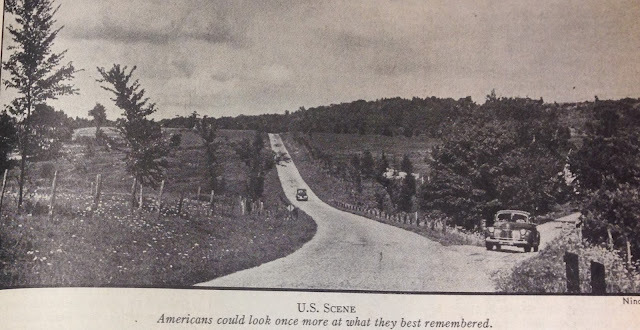 Speaking of the month of school starts and new beginnings: September, 1945. "The last corner before home." At the time this picture appeared, people were probably looking forward to the biggest and wildest American holiday season, ever. If so, they were disappointed. Retail spending numbers were good, but the story was one of silence: houses bright and warm, but for family, not wassail. Maybe it was the suffering experienced by so much of the rest of the planet that put a damper on the festivities. 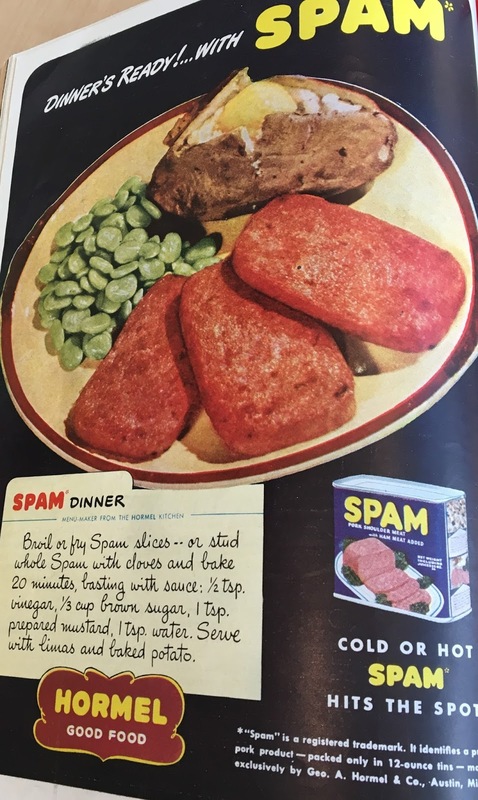 Maybe it is just a perception born of the first signs of the post-cost-plus advertising crunch. What I'm going for in this introduction is the idea that Thanksgiving and Christmas '45 were intensely private, bourgeois affairs: a moment to gather around a hot stove and bridge those lost Best Years of Our Lives. Private --and warm. I hope that you're not too surprised to get this addressed from Hawaii, although it looks like I'll be putting a Denver postmark on it, as I'm not going to be done with Fortune much before then. 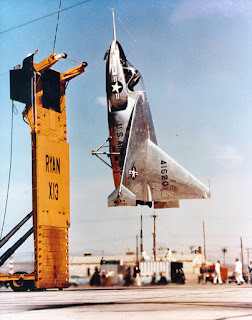 The reason is that I was kept late to do some silly experiments with rockets on water skis that I think might be going on the Navy's answer to the Saro SR.A/1. 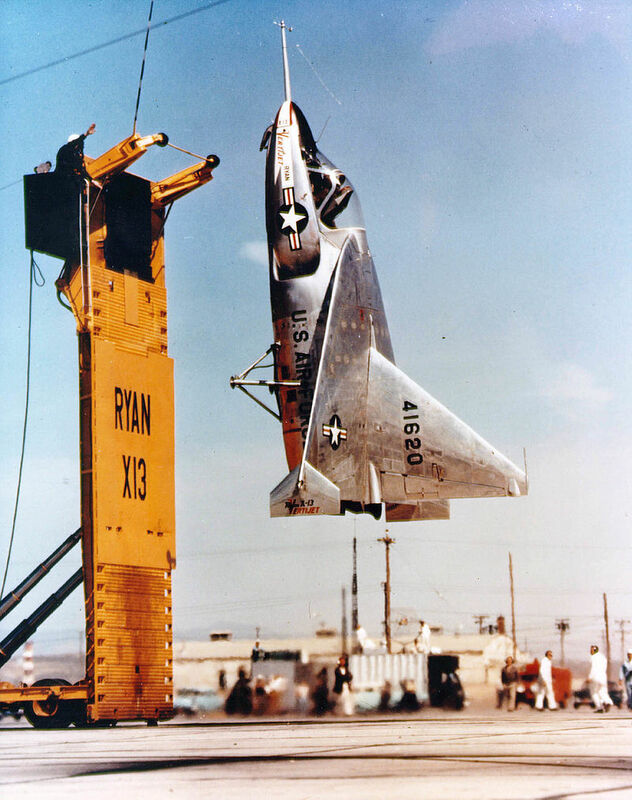 As for why the Navy needs an answer to the Saro SR.A/1, maybe they're tired of all the "dashes" in the plane names and want to try a slanty slash? Honestly, your guess is as good as mine. Fortunately, it counts as class credit or something, and all I have to worry about now is missing the first four(!) partial differential equation lectures. I've looked at the textbook (when I'm not looking at a fascinating article about tapping the oil reserves of shalebeds by drilling into them horizontally), and it looks like I'm going to regret this b.s. If you're wondering why I'm missing four lectures in the first week of classes, it is because I am changing trains so that I can drop off a package with V.N., who will be taking over these letters for the school year so that I can focus on mystery maths. Oh: And I told you not to worry. The bear-cub-in-the-president's-house is being dismissed as a prank, and even if the College Man catalogues his private papers sometime soon, he's not even going to notice that he's missing a page from the Agent's letterbook because it's not one he cares about. (Leafing through, I see that he hasn't destroyed the telegram to the school about his departure. Without something from the other side, we can't exactly prove that the College Man arrived at his uncle's school from the Colville Reservation and not Iowa, but I don't think we care about that, do we?) With the page we do have, we can now prove that Mr. Johnston's mother was. . . I know what you're going to say! After we blackmailed the poor man about his father, is it really sporting to do the same over his mother? Point is, we're not. We're going to produce the letter as evidence that "A. 's" source for warmed over gossip about Hollywood Communists is from Johnston, and not Mr. Brookstein denouncing old Trotskyites. If anyone cares (because all "A.s" bosses want is to be able to discredit Hoover's boys if they get anything juicy. I mean, honestly. Actors and makeup artists who used to be communists? Yawn.) 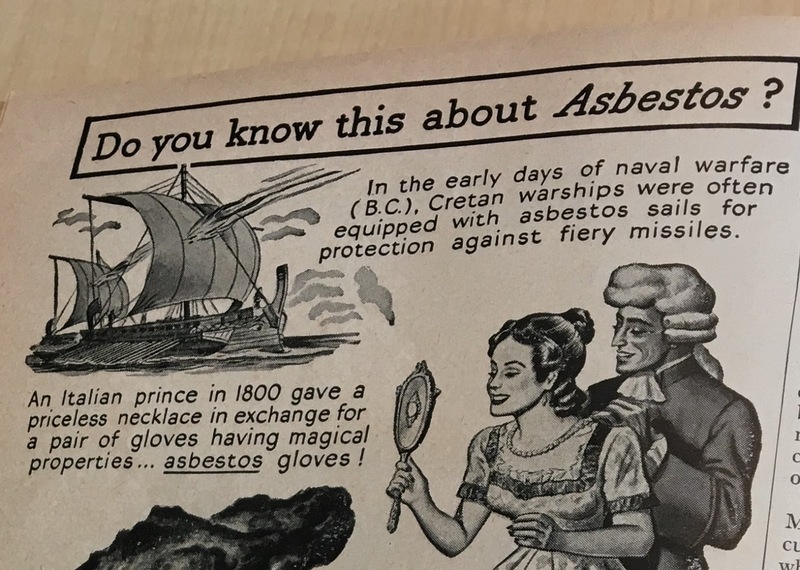 The point is, because A. 's "connection" is to Stanford, V.N. has to go back there! Wouldn't want to jeopardise the future son-in-law's career, now, would you? I know, I know. Seems dashed clever to me, too. This is a post about asymmetries of power, the globalisation of the grain trade, and the parts of the world where waters flow down to inland seas. It's less polished than I'd like it to be, because I have to go and put Driscoll Farms-brand strawberries out now. They're being shipped from California in big trucks, and since we can't stop the supply pipeline, we have to keep pushing, or they'll fill up our cooler. And we need the space! The Central Valley is, admittedly, not an endorheic basin, but close enough. Farmer's two-novel "Opar" series has a disproportionately long Wikipedia article, for those feeling nostalgic. 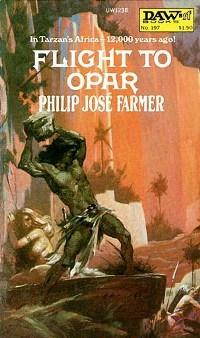 It's been a long time since I've read Philip Jose Farmer's Hadon of Ancient Opar books, but I do remember that they're a riff on a rationalisation of the lost city of Opar in Edgar Rice Burroughs' Tarzan novels. Burroughs' Opar is a former Atlantean (the original thalassocracy!) colony stuck in the middle of Africa, somehow. Tarzan goes there from time to time and . . has adventures. Adventures that allow Burroughs to comment on race in America in interesting ways. I'd say more, but I wasn't kidding about the length and detail of the Wikipedia articles on the subject. Nostalgia for the win! Anyway, Farmer's novels explain Opar by proposing that Atlantis was actually a prehistoric civilisation established around inland seas that once existed in two enormous endorheic basins in the interior of northern Africa. Again, I'm a little hazy on the details, but I think that Farmer proposes that the water impounded in the basins eventually found its way to the Atlantic, causing Atlantis to be destroyed, not by flooding, but by having its sea drained away? Something like that is supposed to have happened in the intramontane Great Basin of the American West at the end of the last Ice Age, although, as far as I know, geologists do not currently believe that the Lake Chad Basin and adjacent endorheic basins in northern Africa were ever flooded (Map below the fold). Though eyewitness accounts of pre-50-million-years-ago period are sparse and unreliable. The endorheic basins of Africa, whether flooded or not, are natural formations rather than largescale geoengineering. There are two reasons that I'm starting out with Farmer, anyway. The first is that it gives me an excuse to have some Roy Krenkel art in the thumbnail. The other is that I'm pretty sure that the first book starts with an historical introduction that describes a conjectured former channel connecting a sub-sea level depression within these larger endorheic basins to the Atlantic. I'm not entirely sure, but this sounds like Donald Mackenzie's 1877 scheme for an artificial inland sea in the southern Sahara, created by dredging out the sand blocking the channel at the coast in the region of "El Djouf." (Like a great many other African geological fantasias of the age, El Djouf barely exists.) I don't know anything about the Mackenzie scheme apart from what Wikipedia has told me, but, again, Roy Krenkel art. 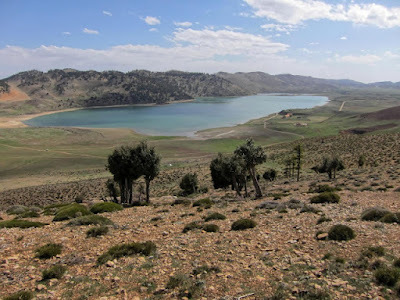 Lake Sidi Ali, in the Moroccan Atlas, 2000m above sea level. So not quite the Sahara Sea. Technology! Maybe someone's riff on the Theseus black sail/white sail myth?